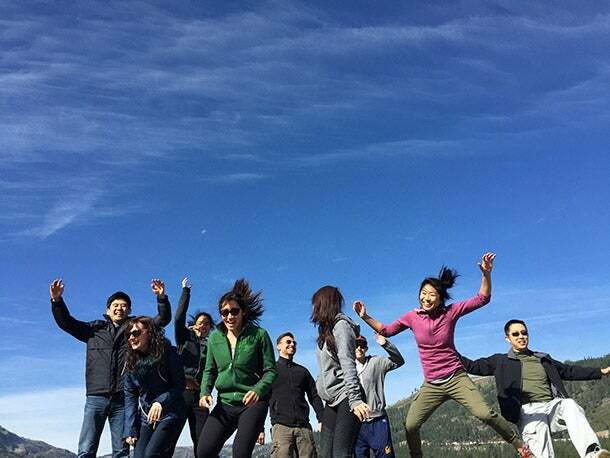 ZenPayroll staffers have fun on a hike. The most productive time of the year for a company doesn’t have to be in the office. 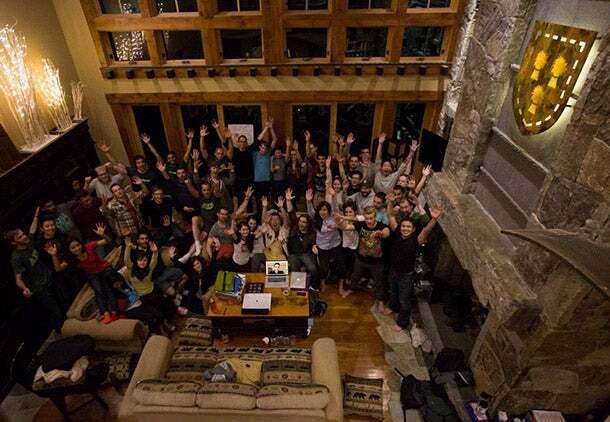 An off-site retreat can reaffirm a shared mission and give rise to new ways of thinking. That’s why employees at my company, ZenPayroll, go on a “workation” every year. Neither business as usual nor a vacation, a workation is a trip where we spend a week collaborating in a new environment. The time away helps us build a strong community, and it’s a wonderful opportunity for staffers to work on projects interacting with different teams. While work retreats can be both invigorating and purposeful, things can go sideways in plenty of ways. Yet there's no need for a trip to become an extravagant waste of time. With a healthy dose of planning and a dash of creativity, you can serve up an experience that members of your team will remember fondly for a long while. 1. Get away from the day-to-day. 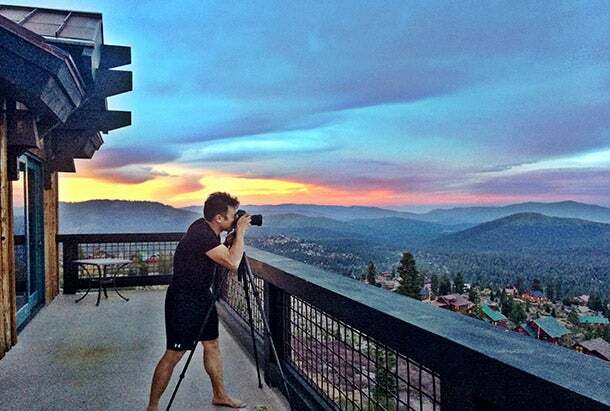 David Nguyen, ZenPayroll's head of design and user experience, takes a photo of the sunset over Lake Tahoe. Choose a location that seems completely different from your normal work environment so that employees can see their contributions through a wider lens and gain a new perspective. Recently members of my team spent a week by Lake Tahoe on the California-Nevada border, which we chose for its natural beauty and proximity to San Francisco. Other companies choose to abroad. For example, employees at Expensify take an “offshore” trip overseas. Last year they went to Croatia and this year Portugal. Travel is an incredible way for employees to grow, so I encourage my staffers to take personal time off as well. And after ZenPayroll employees reach their one-year anniversary, they receive a round-trip plane ticket to visit anywhere in the world. 2. Communicate the goals clearly. 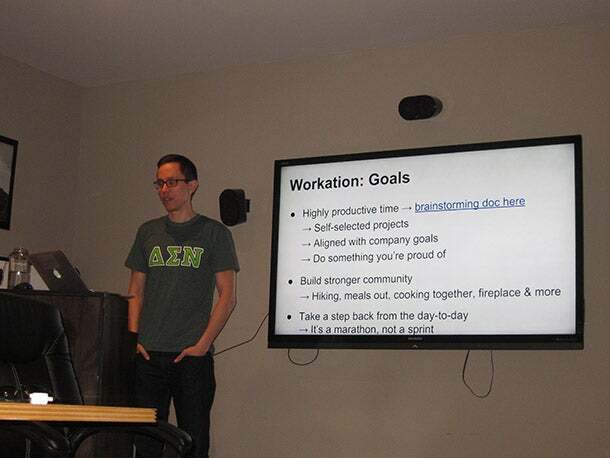 CEO Joshua Reeves presents some workation goals to his company. Whether your retreat includes work, play or a mix of both, share the agenda, expectations and desired outcomes with the entire staff. Our recent workation took months of planning. As it approached, people asked questions, began to look forward to the trip and got into the right mindset. 3. 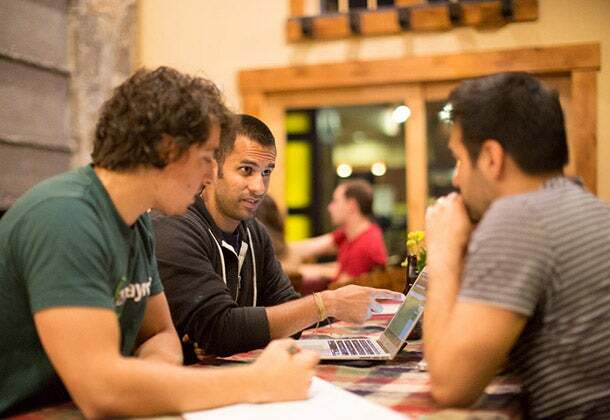 Host a teamwide hackathon and demo day. Employees confer during a workation. One way to structure a retreat around a common goal is to set up a teamwide sprint. For our workations, everyone takes a step back from their normal work activities to tackle a special project, such as improving the company's hiring, customer support, software or marketing. On the last day, we host a demo day and employees present their results. As our team grows, people really appreciate the chance to propose ambitious plans and complete them in cross-functional teams. 4. Bring people together over food. A different team assumes breakfast-preparation honors each day. Never underestimate the motivational power of good eats. 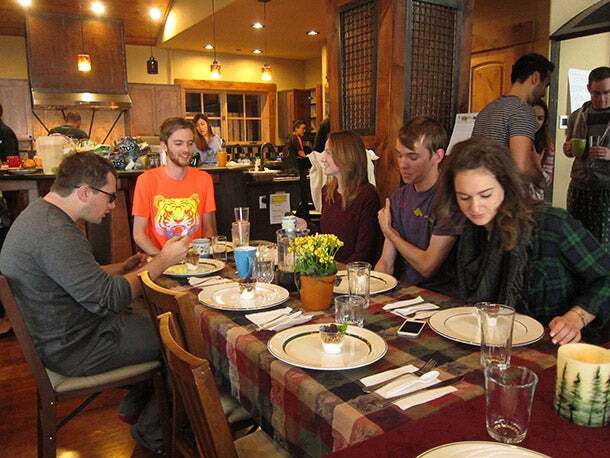 Every morning of the workation, a different team serves the rest of the group a delicious breakfast. For instance, our engineering team gamely navigated the difficulties of baking frittatas at high altitude, while our customer support team greeted everyone with an enthusiastic "¡hola!" and a make-your-own-breakfast-burrito bar. 5. Get outside and be active. Part of the retreat experience can involve appreciating the outdoors. Be sure to build in time during a retreat to take in fresh air. Team-building activities like tackling ropes courses and participating in trust falls are best done outside. We also enjoyed simply hiking together. 6. Go outside your comfort zone, too. A workation gives staffers a chance to become better acquainted with other co-workers. While people tend to bond during unstructured parts of a trip, employees can be encouraged to get to know their colleagues better in a variety of ways. To kick off our recent workation, we played a lighthearted Jeopardy-style game testing fun trivia about our company and teammates. On the final evening, we split up into small groups of six for an introspection workshop. Each group of employees discussed their personal answers to these questions: Can you identify one significant inflection point from your past that really shaped you and say why? What's one contrarian belief you have? What's one thing you would fight to maintain as ZenPayroll grows. Your company's workshop will probably pose entirely different questions, just like your retreat will follow its own set of unique activities and traditions. Whatever you decide to do, go with whatever feels authentic for your company’s culture. At ZenPayroll, we are always trying to reimagine the way things are done. That’s why it’s critical for people to continue thinking in nonlinear ways and experimenting. In contrast to promoting incremental learning, which improves on what's currently known but doesn't dramatically depart from it, I like to ask people to challenge fundamentally what's considered core knowledge. Rather than ending up with a learning curve, the results can be more like a learning staircase, whereby staffers make bigger leaps. As it turns out, an effective way to do that is to step back and reflect regularly. It’s nearly impossible to have big realizations when you’re stuck in the weeds. So take retreats, refresh thinking, reset priorities and come back inspired.